Reputable Toronto Web Hosting Company! We have been serving Toronto for over 10 years while earning an "A+" rating through the Better Business Bureau. Because of our rapid replies to your technical questions, our business keeps on growing larger each year. So, save yourself time, money, and future headaches. Sign-up with us right now! Instant account activation upon payment. Write us or phone anytime 24/7 with any question you may have. Looking to get your website up and running in no time with free domain transfers ? We are now pleased to announce that we have a new data center right in Toronto, with local servers. Our Toronto web hosting services come with our continued commitment to excellence. Do you like the idea of having you website backed up at both of our data center locations, in Vancouver and Toronto, for a full 30 days each month? Well, that is an additional service that is automatically included in all our hosting packages. Even if Vancouver gets swallowed up by an ocean tsunami, your website and data will be safe in Toronto, then subsequently hosted from our Toronto data center. We pair know-how with our experience and 24 hour support. You need to know your site is in the best of hands, and we expect that of ourselves to be a first-rate provider. This is certainly the best value you will find for Toronto web hosting, and even more so when you weigh the fact it's backed by our expertise, reliability and customer service. Our back end provides you with a highly intuitive Control Panel interface, where you can easily manage and modify your website. We make it easy to create FTP accounts, set up an email address, install custom websites and more. Part of our service is allowing 4GH customers have greater control over the functionality of their website. Besides all this being standard, we also offer an optional website builder application to help you further build and manage your site. You can construct your own online webpage in as little as 30 minutes. And don't think for a minute results will be of inferior quality; our builder delivers websites that look great. Try it at no charge for 7 days and see for yourself by following this link website-builder . Our advanced server architecture promotes reliably quick site loading, regardless of how much content it contains or the complexity of its configuration. With our web hosting in Toronto, you can count on 24/7 technical support from qualified, friendly agents who will help you with any web hosting matter. We are always available 24/7/365 on our live chat hotline! If you are looking for a "credible" hosting company, you can trust our "A+" rating that we have earned with the Better Business Bureau over the past full decade. That really does mean something. It means we have proven that we continually provide top-notch service and handle all our customers with high regard and respect. Simply, we like our customers all around. That's why we hope you will join our 4GoodHosting family today. With 4GoodHosting's cPanel, you become your own virtual website administrator. You'll soon have complete control of it, but again if at any time you come across an obstacle, we're ready to help. You can install shopping carts, surveys, polls, image galleries, helpdesks and guestbooks with only few clicks. You can and should expect this type of service and added resources from your web hosting provider in Toronto. 4GoodHosting offers maximum data privacy. As we all have learned recently, there are a lot of prying eyes on the internet, notably in the US. Even if we were ever forced to let men with black suits into our server, we would immediately notify all our customers of any such activity or spying going on. We respect our customer's logical data privacy rights. 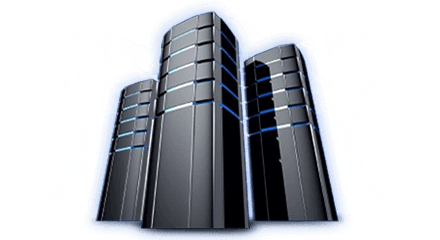 Besides offering a modern, good looking, and easy to use website builder - for those that outgrow shared hosting we offer VPS servers (Virtual Private Servers); also for those that have projects requiring root access and complete configuration control of their standalone webserver. A VPS may also make a lot of sense for websites that have grown to over 1 Million views per month. We offer much more, such as our blog that is updated weekending with fresh content with a focus in SEO, personal and business data privacy, webmail for easy checking/writing your emails, SEO tools to give your website an good boost up Google's rankings, and traffic analysis tools amongst other nice "bells & whistles". We make it easy for you to take advantage of a wide share of platforms too, including We make it easy for you to take advantage of a wide share of platforms too, including Drupal, WordPress, Wiki, Joomla, OpenCart, PrestaShop, SMF and more. Service, and we back that up by offering a 30-day money back guarantee to anyone who comes on board with 4GoodHosting for their web hosting. Web hosting , free domain name registration , VPS hosting , a quality website builder , or even a custom website built – you have every web hosting resource you need right here!